Southampton scientists will reveal the first research results from the new National Dark Fibre Infrastructure Service (NDFIS) at an international conference this week. 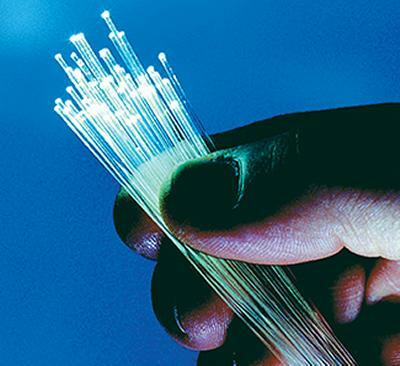 Dark fibre is an optical fibre that users can access at the optical data level rather than the electrical data level as in conventional communications networks. It enables users to experiment with novel communication techniques, such as high order optical modulation or quantum communication. Professor Periklis Petropoulos, from the University of Southampton’s Optoelectronics Research Centre (ORC), explored the use of new optical signal processing technologies to meet the demand for high capacity in future long haul optical transmission systems. Professor Petropoulos’ team used a dedicated dark fibre network, called Aurora2, to investigate the use of optical phase conjugation (OPC) to improve the quality of a transmitted optical signal. He explains: “We demonstrated the use of an OPC system located in the middle of a 400km deployed transmission link that effectively doubles the transmission capacity of similar schemes. As multiple communication signals travel simultaneously down a long length of the same fibre, they gradually accumulate noise and lose their fidelity. “We placed an OPC at the mid-point of the distance to be travelled and this inversed the properties of the signals, forcing the noise accumulated in the second half of the link to negate the effects of the noise in the first half. This meant the signals at the end of the transmission line appeared cleaner than they would be without the use of the phase conjugator. “These were the first experiments we carried out using the transmission line of the Aurora2 National Dark Fibre Infrastructure. Using a field-installed transmission line made the experiment much more challenging, but also made the results much more relevant and useful in understanding what the technology is capable of. A paper detailing the team’s research and findings will be presented at the ECOC conference in Valencia, Spain, in September (27 Sep – 1 Oct). The conference is one of the largest international optical communications events. Professor Petropoulos says: “ECOC is where the latest developments in the optical communications field are announced every year. The ORC has maintained a strong presence at the conference over the years and several of our academics are actively involved in its organisation. The NDFIS was set up with £2.5m of UK Engineering and Physical Sciences Research Council (EPSRC) funding to support research on optical communication networks and the future Internet. The five-year project is led by University College London and comprises a consortium of the universities of Bristol, Cambridge and Southampton. The NDFIS provides access to the dedicated Aurora2 dark fibre network connecting these universities, with onward connection to European and worldwide research networks via telecommunications facilities in London.